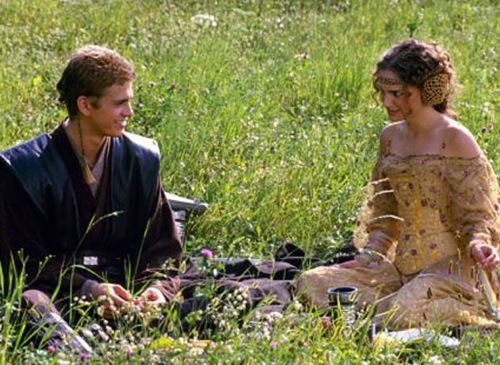 Lucasfilm Postpones 3D Theatrical Releases Of ATTACK OF THE CLONES And REVENGE OF THE SITH! Given the recent development that we are moving forward with a new Star Wars trilogy, we will now focus 100 percent of our efforts on Star Wars: Episode VII in order to ensure the best possible experience for our fans. We will post further information about our 3D release plans at a later date. THE PHANTOM MENACE 3D was released theatrically last February, and did okay business for a reissue ($22 million opening en route to $43 million domestic), but while Fox owns the prequels' distribution rights until 2020, this is ultimately Lucasfilm's call. And since it sounds like Episode VII's 2015 release date might change, they're likely reevaluating how they want to roll out the other rereleases. In any event, I'm sure you guys are all broken up about this.